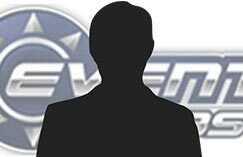 EventHubs collects usernames, email addresses and IP addresses for the purpose of security, verification and preventing abuse. This information, with the exception of IP addresses, is only collected from users who sign up for an EventHubs account. IP addresses are logged for security measures and preventing abuse. The information we collect is not shared with other parties, nor is it available for sale in any way, and is locked behind systems that stops outside access. Location information in our Player Finder is masked with the purpose of hiding user's specific locations — as we show things at a general zip code or city level, instead of anything more specific. We also take additional measures to hide our member's locations to an approximate spot in a square mile radius, when doing searches, instead of a specific location, to further hide user locations. Specific user location information is NOT stored in the Player Finder, even if it is initially provided, as we convert this to a general region (city or zip code) instead of a specific address. Location information can be changed and altered any time by our users, and is not verified in any way on our end. Game service user IDs (PSN, XBL), fighting game preferences and character preferences are all stored publicly in your profile, with those who choose to share them, and may be edited at any time. With contest winners, we request contact and address information so we may send them prizes. This information is not shared or sold at all. Cookies are stored to save sessions on the website, keeping your preferences for site viewing intact. You can remove all of the information we store about you here on EventHubs by requesting to have you account deleted. Please use the form here and choose the technical support option and one of our staff members will follow up with you. We also automatically collect certain non-personal information from you when you access our Website. This information can include, among other things, the type of browser you are using (e.g., Chrome, Internet Explorer, Firefox, Safari, etc. ), the third party website from which your visit originated, the operating system you are using (e.g., Vista, Windows XP, Mac OS, etc. ), the domain name of your Internet service provider (e.g., America Online, NetZero, etc. ), the search terms you use on our Website, the specific web pages you visit, and the duration of your visits. These companies may or may not use behavioral targeting and/or multi-site advertising to serve advertisements. We use Google Analytics and Quantcast to track web traffic across EventHubs. We also use Google's RECAPTCHA service to prevent fraudulent accounts from being created, and to help prevent spam attacks. You can find the privacy policies for both companies below.